We define School Library Advocacy as proactive communication to positively inform and influence community members and decision makers. Effective advocacy is informed by the positive trends in librarianship and studies that illustrate the value of our programs. 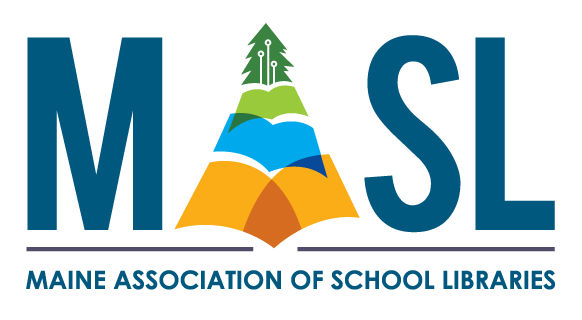 Below is a collection of tools, articles, and published reports about School Library Advocacy. Including a Crisis Toolkit, Parent Advocate Toolkit, and @your library Toolkit for School Librarians. Provides access to several published reports and position papers. School Library Impact studies, including infographics and videos. What are the Savings that School Libraries Bring to their Schools? Infographics, research results, and resources for librarians, parents and community members. A new national study commissioned by the Annie E. Casey Foundation, found that students who don’t read proficiently by third grade are four times more likely to leave without a diploma than proficient readers. The report, "Double Jeopardy: How Poverty & Third-Grade Reading Skills Influence High School Graduation," breaks down for the first time the likelihood of graduation by different reading skill levels and poverty experiences. This article provides a good summary of the findings of a Pennsylvania survey on the importance of school libraries in relation to students’ test scores. It also gives some very good advice about how to advocate for your school library. Academic achievement is positively impacted when librarians and teachers work together to impart instruction. This study found even when considering demographics of schools with high percentages of students eligible for free and reduced lunches, school librarians and school library usage have a positive impact on test scores. Santos, F. (2011, June 24). In lean times, schools squeeze out librarians. The New York Times. Anderson, M. A. (2011). What happens when media positions are cut? Library Media Connection, 29(6), 16-18. When media specialists are cut, information literacy instruction and research instruction are also cut because there is no one to provide direct instruction or to collaborate with teachers to integrate those aspects of learning into the curriculum. Baumbach, D. J. (2003). Making the Grade: The Status of School Library Media Centers in the Sunshine State and How They Contribute to Student Achievement. Orlando, FL: University of Central Florida. Francis et al. reported students in schools with a certified school librarian and a better funded library scored significantly higher on standardized tests. In a comparative study of test scores in states showing changes in the number of librarians between 2004 and 2009, Lance and Hofschire (2011) determined states which gained school librarians demonstrated a greater rise in reading scores while states that lost librarians had an overall decline in reading scores. Jaeger, P. (2011). Transliteracy Undefined: New library lingo and what it means for instruction. Library Media Connection, 30(2), 44-47. Technological literacy and reading literacy are tied to one another and span the curriculum, involving every subject area. Lance, K. C., & Hofschire, L. (2011) Something to shout about: New research shows that more librarians mean higher reading scores. School Library Journal, 57(9), 28-33. Todd, R. J., & Kuhlthau, C. (December, 2003). Student learning through school libraries: A summary of the Ohio research study. Presented at the Ohio Educational Media Association.